The Business Credit Card for local businesses! There are a lot of choices for credit cards out there. 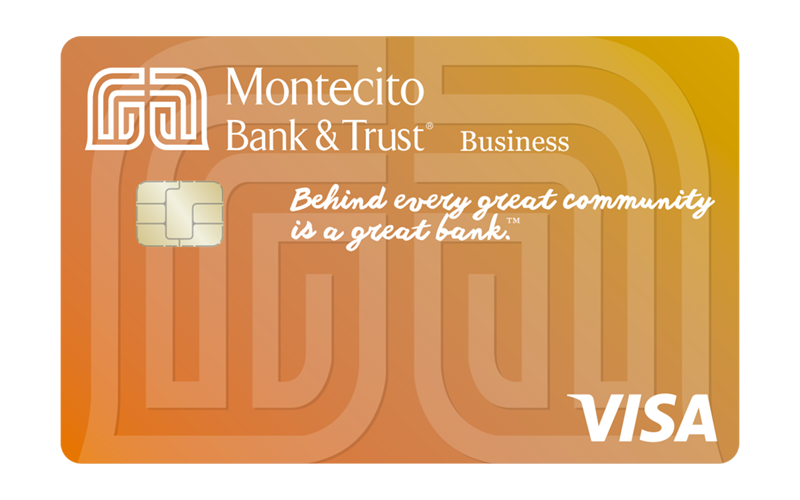 But when you choose the MB&T business credit card, you’ll get cash back rewards and the satisfaction of knowing that by choosing a community bank you’re choosing a local business just like you; complete with the service and convenience you’ve come to expect from the largest locally owned community bank on the Central Coast. Maximize your possibilities with a credit card that is right for your small business. The Business Credit Card that lets you earn points on all purchases for automatic cash back rewards. The mobile app that helps you control where, when and how your business credit card is used.